A carefully crafted, well delivered and strategically placed speech can serve as an important association PR and content marketing tool. Early in my association public relations career, I was writing as many as 60 speeches a year. Most were delivered by our volunteer leaders or our CEO. Know what you want your audience to Do, Not Do or Let You Know after hearing your talk. 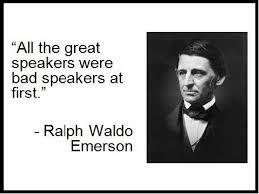 Make sure your speech achieves those objectives. Employ the old broadcast news axium: Tell’em what you’re going to tell them; tell’em; tell’em what you told’em. Focus on three major points. Eye contact remains the No 1 factor in believability. Yet, way too many of us have turned to Power Point presentations which focuses the audience away from the speaker to a screen. Use props to illustrate key points. For example, to call attention to our three key points, we used a 3-legged stool ... and during the speech screwed in each of the legs and concluded by standing on it. Work with you speakers to deliver a powerful, audience-focused opening. The opening should be without notes so you speak directly to the audience. It should give the audience a roadmap of your talk. Listen to the question while looking at the person asking. Now shifting your eyes to the entire audience, restate the question in your own terms. Provide your answer in a way that reinforces your key message(s). Don’t just accept any speech. Aggressively look for an audience that matches your needs. And, once delivered, share the speech and its main points with key audiences. Speeches should be shared, not filed. Post the talk to your association website. Do a story on the talk in your association newsletter or other publications. If it is a major speech, consider creating reprints and sharing with key audiences. Using Twitter, Facebook and other tools before, during and after the talk. Consider creating an Infographic of key points from the speech and sharing via social media. Create “Tweetable” quotes from the speech and invite the audience to post them on social media sites. Bottom line: make speeches a key part of your PR and content marketing strategies. Follow these nine tips to enhance the value of the time spent on public speeches.